When your recordings are OnDemand, your virtual audience has access to all of your online content, 24/7 from any device. 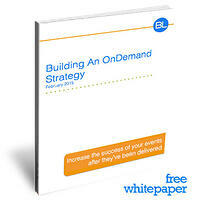 So this begs the question: do you have an OnDemand strategy? And if so, could it use some work? Creating a strong OnDemand strategy is key for better servicing your audience and furthering their education. It may also serve as an opportunity for you to obtain more in-depth viewer analytics, repurpose webinar or webcast content for OnDemand promotion, and generate leads! It's time to increase the success of your events even after they've been delivered live! Simply fill out the form to access our complimentary white paper now.